Bamboo is an amazing resource. It's grown without pesticides and rapidly renewable. Create a safe sleeping environment for the family. These sheets are the perfect solution for adults and kids with sensitive skin with bamboo being naturally antibacterial and hypoallergenic. 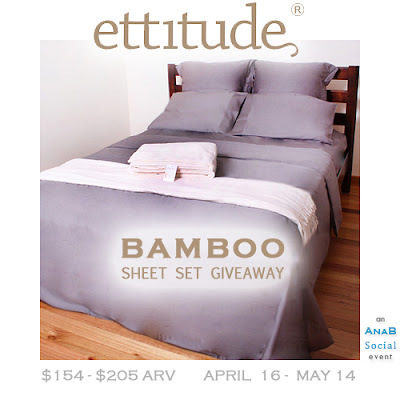 In addition to bamboo sheet sets, Ettitude has a vast selection of bamboo comforters, duvet covers, crib sheets, pillows, mattress protectors, and towels to name a few. Ettitude was founded on the simple idea that all home and family essentials should not only be practical but also be unquestionably safe, Eco friendly, beautiful, and convenient.